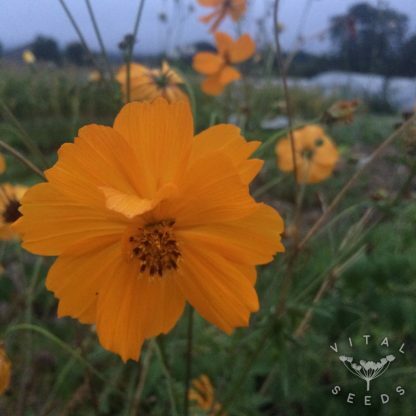 Brilliant tones of orange flowers on tall stems with fine feathered leaves. 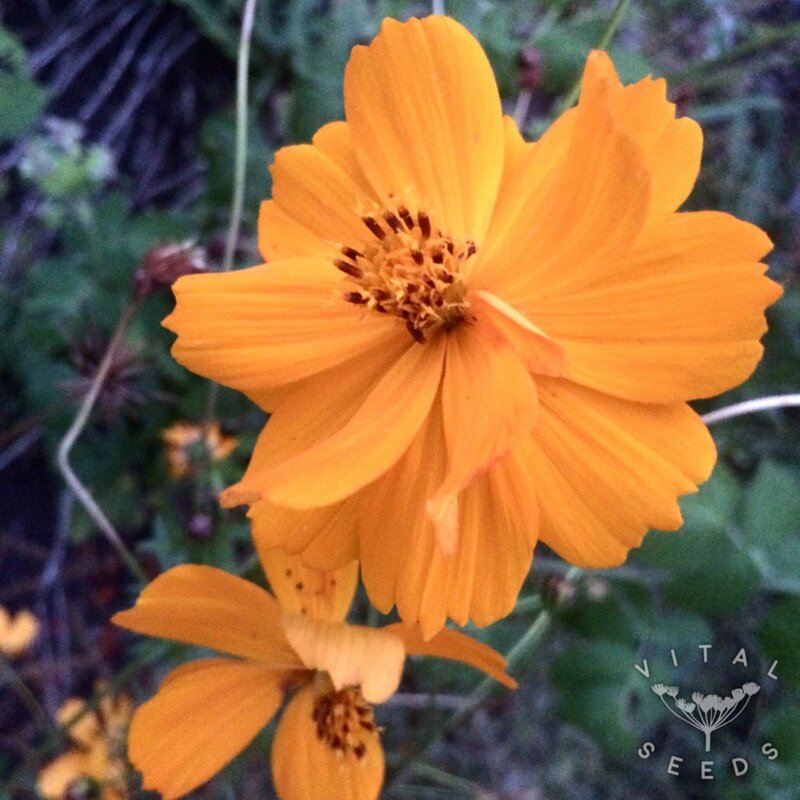 This beautiful eye-catching orange flower will bring you joy from early summer until fall. 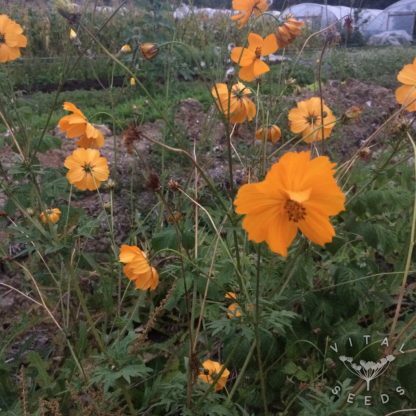 It tolerates poor soils and dry conditions and attracts bees, butterflies and other insects. 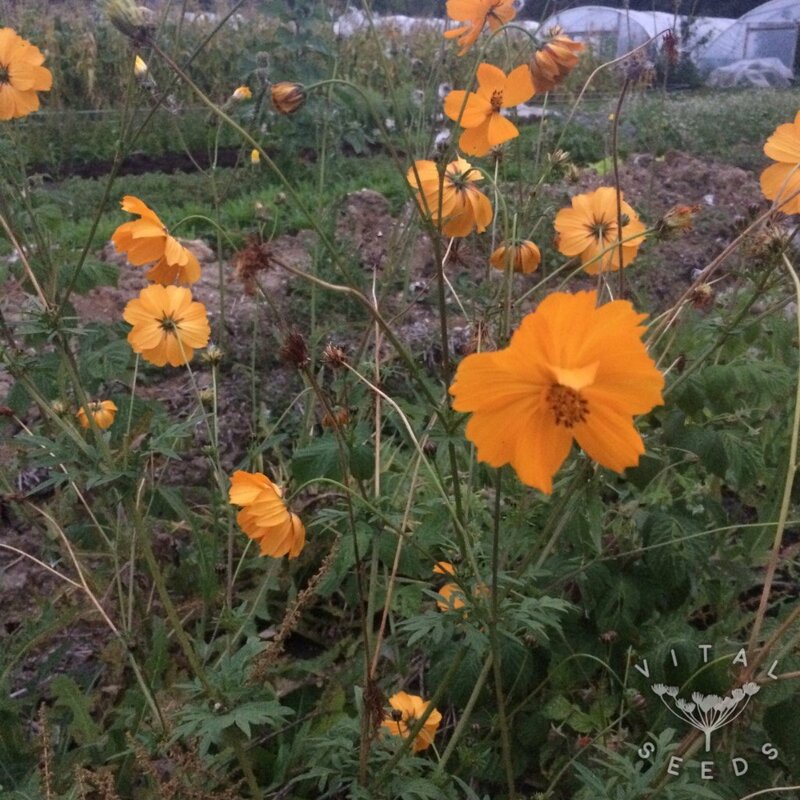 We find Orange Cosmos easy to grow and it will self-seed if allowed to.